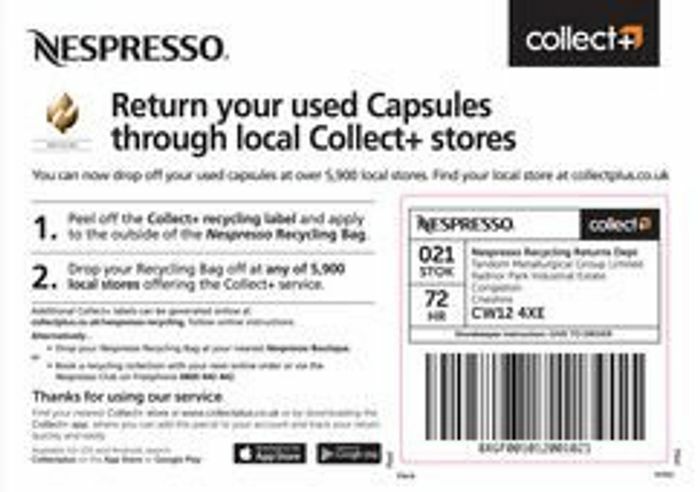 Nespresso offer a recycling service for free as currently, you can't put the Nespresso pods in your usual rubbish to be recycled by the council. I have seen lots of comments in deals posted for Nepresso machines and pods about people being put off by pods as they aren't recyclable and now they are and you can. The aluminium used to make the pod protects the coffee and does not leave a "taste" on the coffee either and is infinitely recyclable.